"Rob’s reputation for perfection is what motivated me to start treatment." "I think that Dr. Rob Van den Berg is the coolest Orthodontist ever! He is fun and super funny and makes the procedure go fast! I am so happy with the choice we made!" "The office staff is very courteous and professional and most important of all, Dr. is always on time and you don’t have to wait for long to have your work done." "With Dr. Van den Berg, his staff and Invisalign, my teeth are straighter than I ever expected, with little discomfort or inconvenience during the process." "I have had nothing but positive experience while seeing Dr. V. He is professional and warm I truly enjoy coming in for my adjustments. I LOVE Danielle and Marce as much as my son does." "I am so happy I came to this practice. They have offered us the service and flexibility we needed. The doctor is friendly with kids and my daughter loves the staff and the environment they provide." "I’m 62 yrs old. I was not happy with myself. I felt so ugly, my teeth were a mess. Now I am truly happy and I can smile now with confidence." "Pacific Coast Orthodontics is a great place for patients of all ages. They are kind and care about you and what you do, but at the same time they are very focused on their job, not to mention that they are very good at it too!!!" "This is a wonderful orthodontic practice. The Dr. and staff are very nice and kids friendly and we didn’t feel we need to give an arm and a leg to pay for it. Our son’s smile is so improved! Definately recommending." "I love how nice you all are." "I am very happy with my daughter’s results. She has been very comfortable during her orthodontic process." 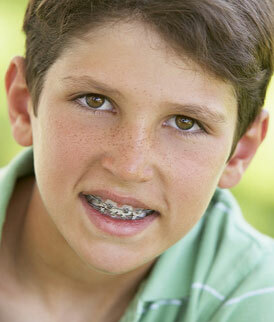 "I love going to the orthodontic office because they are super nice and I feel like I personally know them." "Pacific Coast Orthodontics is a great place to receive great orthodontic care for you and your family." "We have been very pleased with the staff and service for our children. Thank you!" "We have never been left in the dark about our kids’ treatment plans, and Dr. Van den Berg has always been responsive to their needs." "I would highly recommend Dr. Van den Berg, either for your children, or for adults, as he is also a specialist with the Invisalign product line." "I now have to remember that I no longer have to cover my mouth when I smile. I would recommend anyone to Dr. Van den Berg with absolute confidence." "Dr. Van den Berg and his entire staff are professional, personable and it is obvious to me that they all love what they do." "Having taken part in some of the Invisalign developments as well as the extensive training he’s received, I felt my teeth were in good hands. Turns out I was right." "I am always taken timely when I arrive at the office for my scheduled appointments. Any adjustments I needed in-between appointments were taken care of right away." "Any questions I had were always answered with wonderful detail. I was always told what to expect prior to the treatment or process." "The office has a very comfortable and relaxed environment. Dr. Van den Berg's office staff are very kind, always up-beat, and are very helpful. I highly recommend his services." "In 2003 I came in pretty skeptical as my teeth were not very good looking with lots of gaps in between. 2 years later, after Invisalign treatment from Dr. Van den Berg, my teeth became awesome." "I am 20 years old, I have a very "unique" mouth structure, and I have been through 12 years of braces with 4 different orthodontists. Dr. Van den Berg was the only one to permanently improve my smile and I am incredibly happy and impressed with the results." "Rob is very gentle working with children and explaining everything that is going to happen when they get braces." "Having braces in my 40's was easy thanks to Rob. His staff is professional, friendly and encouraging. I highly recommend him." "I love my new smile!" "They have made my two sons feel well cared for and managed to teach them the proper care of their teeth while in braces. They now have their braces off and I marvel at both of their very cute smiles." "I was extremely glad that I was treated by them because they go out of their way to provide a comfortable atmosphere and treatment. I am amazed by the results and highly recommend them."